Posted on April 13, 2018 at 10:19 am. Stanley Ho will stay on as chairman emeritus, but will hand the reins of SJM Holdings to his daughter Daisy. THE man regarded as the “founding father” of the Macau Casino industry will hang up his boots at SJM Holdings at the June 12 General Meeting. One of the richest men in Asia, Stanley Ho will stay on as chairman emeritus, which means he will still hold the title but will cede day-to-day operations to his daughter Daisy, who is a board member. 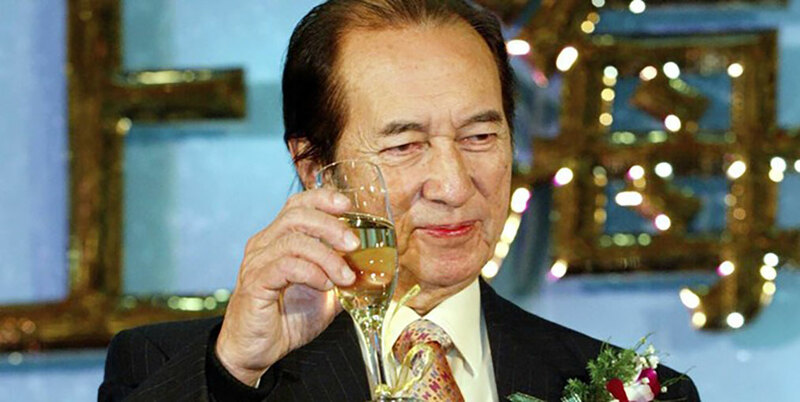 Ho, 96, is estimated to have a net worth of over USD $3 billion and retires as one of the major factors in the birth of the industry we know today. “Dr. Ho has justifiably been acknowledged as the founding father of Macau’s gaming industry, which has for some time been the largest in the world in terms of revenue,” SJM said in a statement. “Under Dr. Ho’s visionary leadership, the Company and its subsidiaries achieved a significant growth in the past decade. Daisy Ho will immediately take over as Chairman and Director of the Company in the days after the AGM, while Fai So Shu will be appointed into the roles of Vice Chairman, Executive Director and Chief Executive Officer. SJM Holdings owns 19 casinos in Macau, including several of the biggest such as Grand Lisboa and Mandarin Oriental Macau. Not bad for a man who is understood to have made his first significant sum of money by smuggling products into China from Macau during World War II.